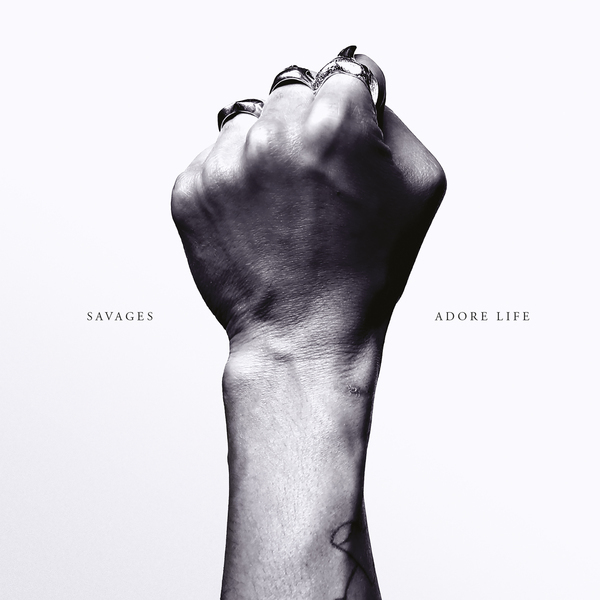 "Savages’ second album, ‘Adore Life’, was recorded in RAK Studios, London in April 2015. Johnny Hostile was the producer and Richard Woodcraft the engineer. Anders Trentmöller took care of the mixing in Copenhagen. All songs were written and played by Savages - Ayse Hassan (bass), Fay Milton (drums), Gemma Thompson (guitar), Jehnny Beth (vocals). Lyrics by Jehnny Beth. The album artwork was designed by Craig Ward and the photography was by TIM." Gatefold LP. Includes download code redeemable from the label.